Click on the images to learn more about each online tool, and learn more about our publications and data consulting services. 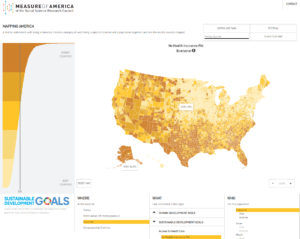 A tool to understand well-being in America, Mapping America allows users to explore over 100 indicators (including Sustainable Development Goals indicators) by geography, gender, and race and ethnicity, all in one place. Wondering how your community is doing? Plug in your zip codes to locate human development levels within your own community, compare places and indicators, and more. 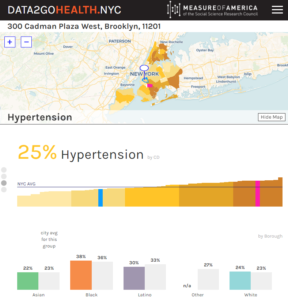 DATA2GOHEALTH.NYC builds on DATA2GO.NYC, its sister tool, and provides reliable, up-to-date information on neighborhood assets and challenges across a broader range of health sectors. These tools are for everyone—to craft effective solutions, target policies and services, advocate for change, and hold elected officials accountable for progress. 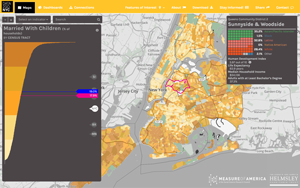 A new way to measure what matters for well-being and opportunity in New York City, DATA2GO.NYC brings together federal, state, and city data for the first time at the neighborhood level. It’s free, easy to use, and will be maintained for years. 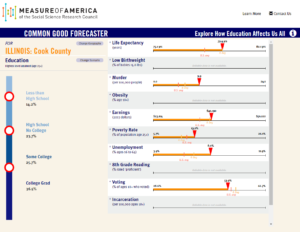 Using the latest statistics from the U.S. Census Bureau and other trusted sources, the Common Good Forecaster shows how education affects a whole range of outcomes for the community. Users are invited to change the level of educational attainment in their own county or state to see how education impacts important economic, social, and political variables. 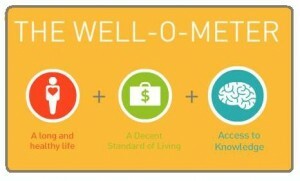 Calculate your own human development score by answering just a few questions about yourself. The survey covers your demographics and family history, educational attainment, income, and health behaviors. How does your score add up?